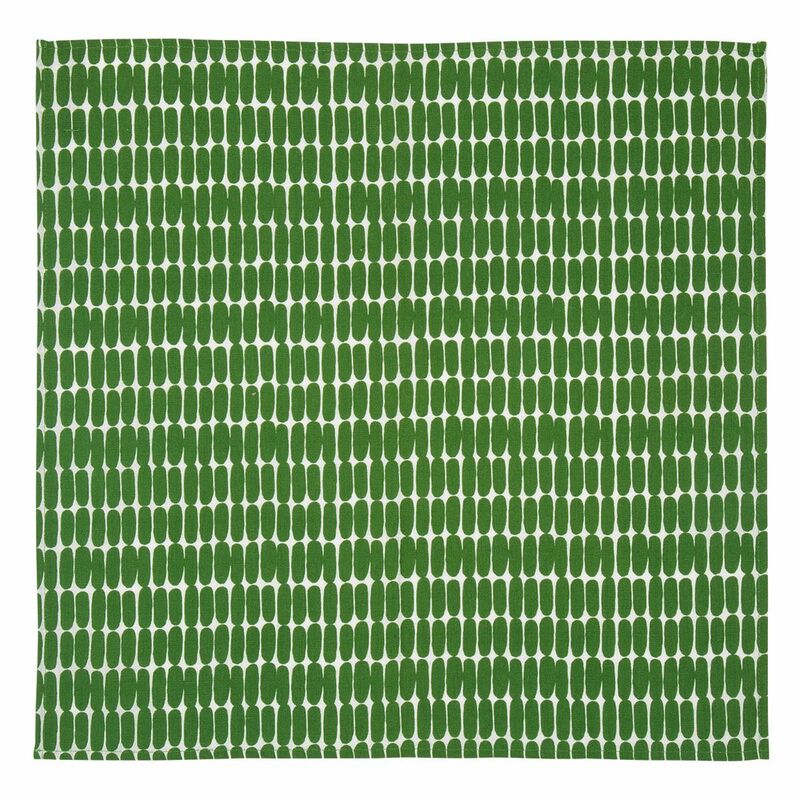 More about Marimekko Alku White / Green Cloth Napkin Marimekko's prints have the ability to merge modern and retro in a timeless way. Called Alku (Initial), the design depicts the seeds from which the flowers of the Eläköön Elämä pattern grew. Together these two patterns celebrate the 10th anniversary of Maija Louekari’s Siirtolapuutarha pattern and Sami Ruotsalainen’s Oiva dishes. Here, it's printed on a machine-washable blend of cotton and linen. 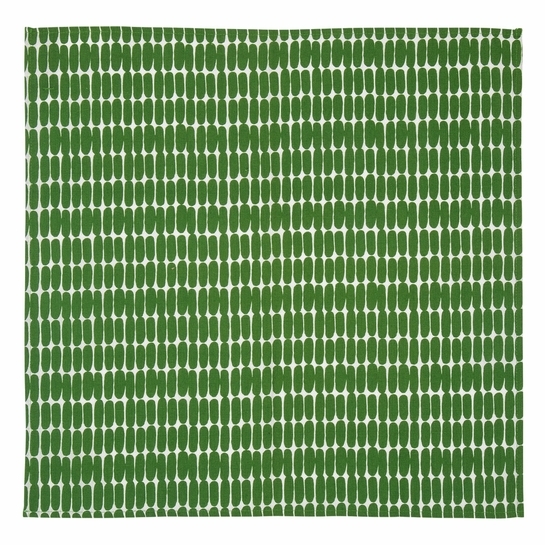 The stylish square is the perfect marriage of formal and casual, and is an eco-friendly alternative to disposable napkins; simply toss in the wash between meals. The colorway is reversed on the other size, so it looks pretty however it is folded on the table.